As I am sure you will have noticed the area outside the main reception is completed with the addition of a memorial sign. 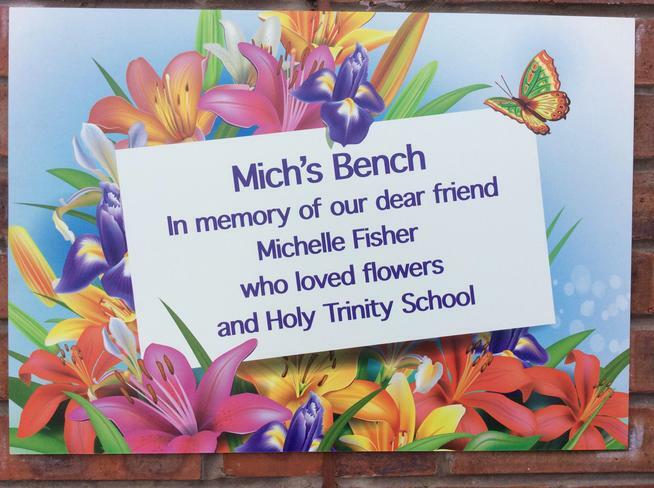 A huge thank you to Brian Howell of Creativo Design on the Wirral who designed and produced the colourful panel in memory of Mich Fisher. Brian very kindly asked us to donate the cost of the sign to Claire House Children’s Hospice, which was extremely generous of him. 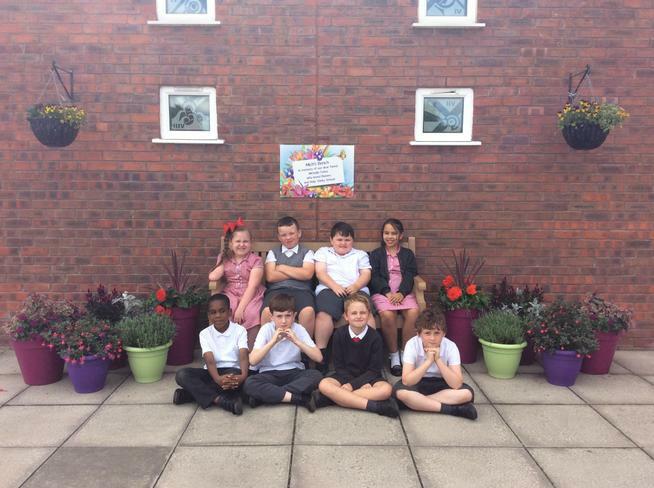 Thanks also to the PTFA for their contribution towards the sign.